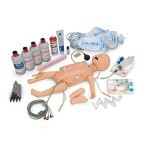 A dramatic, state-of-the-art manikin designed for teaching individuals or groups life-saving techniques for children. 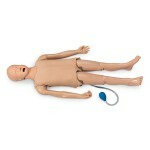 The Life/form® Child CRiSis™ Manikin provides complete PALS training capabilities in one manikin. Simulating an 8-year-old child, it combines all of the skill stations on one manikin, making training more realistic and giving students an appreciation for the smaller scale of the patient. This system features the Life/form® Child Airway Management Trainer, IV Arm, Blood Pressure Arm, Defibrillation Chest Skin, Intraosseous Infusion/Femoral Access Leg, as well as a completely functional CPR manikin. 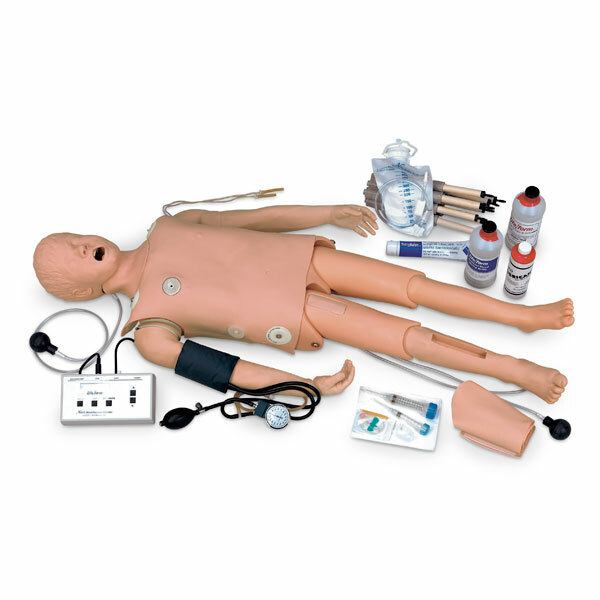 The Life/form® Child CRiSis™ Manikin is ideal for ACLS, nursing, paramedic, and EMT training at every level. The Child CRiSis™ Manikin is 46-3/4″ long and weighs 20 lbs. 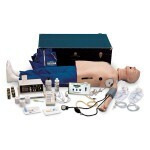 Interactive ECG simulator not included. Three-year warranty.